Summary: The new babysitter takes a little getting used to, but after the two kids adjust to her alien ways, they think she’s the greatest. The pictures tell the story: while the babysitter performs mundane tasks like helping with tooth-brushing and singing a lullaby, the illustrations show a magical loop of toothpaste traveling to the brushes and the children floating up the stairs to the song. 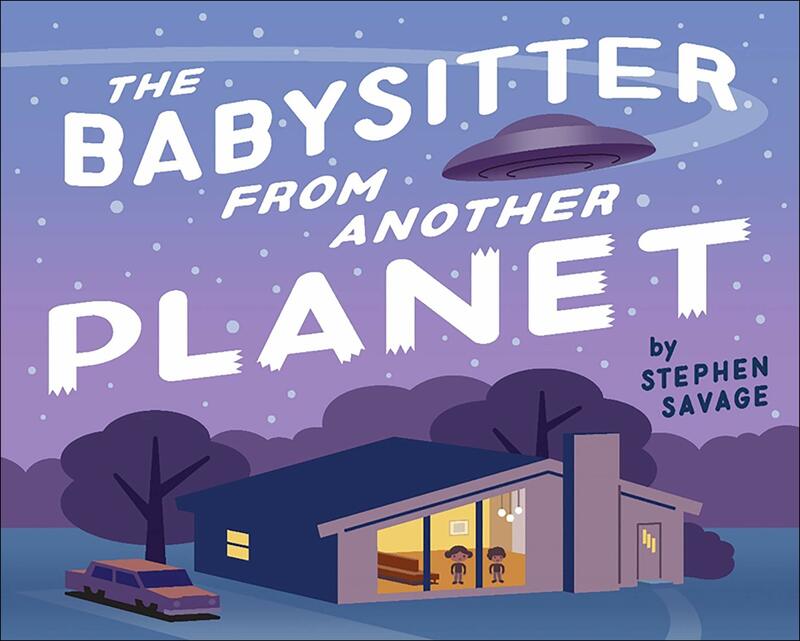 When the parents go out the next Friday night, the children send their teenage babysitter packing and call up the babysitter from another planet. This time, she bring some friends for a groovy intergalactic party. 32 pages; ages 3-6. Pros: Readers will be clamoring for their own alien babysitter after seeing the fun these two children have. Their house looks like it was designed by Mike Brady and furnished by Ward and June Cleaver; parents will enjoy the retro styles. Cons: For some reason, this felt to me like it should have been told with rhyming text.